The hermitage was plain, rugged, and square. "It was a loving, passionate line…"
Dear Listeners, I was having trouble getting to sleep at night. Instead of counting sheep, I found myself counting people going up a mountain to see a holy man. Each night, semiconscious, I came to know this holy man and the pilgrims. My insomnia problem was solved. Now I had a story to write. I wrote it quickly, although years later, when asked how long it took to write, I said 50 years, which was also true. Recently the Dalai Lama said, You don't have to believe in God to be a kind and compassionate person. Joe, our man on the mountaintop, would agree. Susan Trott is the author of more than 16 novels, including the best-selling Holy Man series, Flamingo Thief, and Crane Spreads Wings. Born in Andover, Massachusetts and educated in New England, she lives with her husband in northern California. A self-described homebody who travels widely, this mother and grandmother also enjoys table tennis and T’ai Chi. After becoming interested in theater in high school, Stanley Tucci decided to pursue his passion professionally, enrolling in SUNY Purchase’s Conservatory of Theatre Arts. In 1982, the same year he graduated from the program, Tucci made his Broadway debut with a small role in The Queen and the Rebels. Only three years later, he starred in his first feature film, Prizzi’s Honor, beginning a long and celebrated career on the big screen. Tucci has appeared in everything from box-office mega-hits (all four installments of The Hunger Games, Captain America: The First Avenger, 2017’s live action Beauty and the Beast) to warm, feel-good comedies (The Devil Wears Prada, Julie & Julia, Easy A) to critically adored dramas (such as 2009’s The Lovely Bones, which earned Tucci the nomination for Best Supporting Actor at the Academy Awards, BAFTAs, and the Golden Globes). His television work has also racked up accolades and praise—Tucci won an Emmy and a Golden Globe for his portrayal of controversial columnist Walter Winchell on HBO’s Winchell, in addition to an Emmy for a guest spot on Monk, and a second Golden Globe for HBO’s Conspiracy. 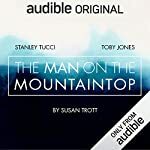 This Audible Original is not Tucci’s first venture into audiobooks; he and Meryl Streep received a Best Children’s Spoken Word Grammy nomination for their narration of 2008’s The One and Only Shrek, and he has lent his voice to a variety of books, including The Postman Always Rings Twice and The Good German. English actor Toby Jones is internationally known for both his stage and screen work. Only a year after finishing his drama studies at L'École Internationale de Théâtre Jacques Lecoq in Paris in 1991, Jones made his film debut in Sally Potter’s Orlando (1992). Less than a decade later, he won the 2002 Olivier Award for Best Actor in a Supporting Role for his work in the West End comedy The Play What I Wrote. This strong start soon gave way to roles in acclaimed films including Infamous, Frost/Nixon, Captain America: the First Avenger, Captain America: Civil War, Jurassic World: Fallen Kingdom, and Tinker, Tailor, Soldier, Spy. His voice will also be familiar to Harry Potter fans; Jones voiced the beloved house elf Dobby for the entirety of the film saga. Jones is also known for his television performances. His turn as film icon Alfred Hitchcock in The Girl earned him nominations for an Emmy, a Golden Globe, and a BAFTA while other roles on Sherlock, Doctor Who, Wayward Pines, and Detectorists were lauded by fans and critics alike. 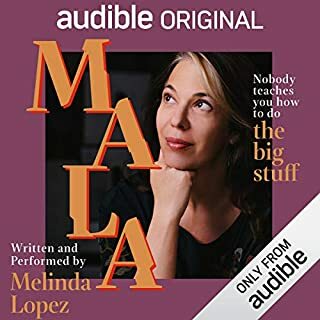 See how this Audible editor realized that self-help titles were not the only places she was gleaning her life lessons. These are very simple little glimpses of wisdom. Simple is all you really need. You will like them or you will not. Simple. This book is a series of stories about a holy man that people travel to see and consult with. Each pilgrim comes with his/her issues and you get to hear how each learns his/her lesson. Refreshing content that nourishes the soul. I like this book because it’s got short stories within the story and for some reason the voices make me fall asleep. Exactly what I was looking for. I really enjoyed the story and the performance. It was like listening to a play, sound effects and all. Very enjoyable and a positive break from such a negative world. Stanley Tucci, always a pleasure, lends his amazing tone to a work with an equally amazing one in this meaningful and beautiful creation. It is a difficult task to compile this much wisdom and inspiration into such a short time, but The Man On The Mountaintop moves mountains for sure. Characters come to life amidst wonderful descriptive language. A true masterpiece to be certainly be enjoyed, but also cherished and shared. I loved the context around the Man on the Mountain top and the many things he could represent for our varied realities. Enjoyed how he imparted wisdom in the simple conversations. This is a definite Audible original win. The sound effects takes listening to a book to a whole new level. Narration was amazing! 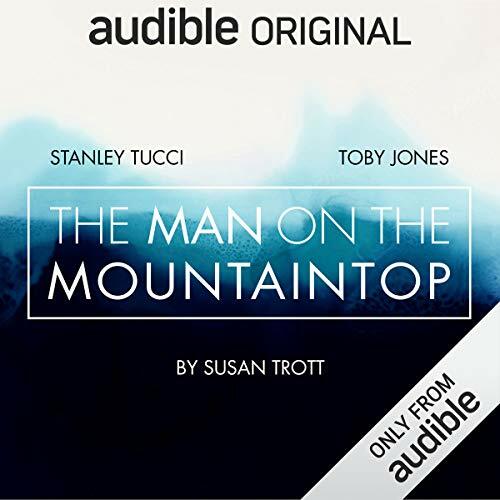 The Man on the Mountaintop is a lovely story that is beautifully performed. I thoroughly enjoyed this book and the message it shares. Of course I like the performance and production. You will too, unless you don’t. I like it as I align with the fundamental principles of the story, and with the producers and performers’ obvious delight in participating in the production. If it is worth doing something it is worth doing it wholeheartedly with relish and impeccably. The hard part of writing this review is to say it in a way that might have someone who is otherwise not inclined to pick this title. And I fear I am not doing a good job. If reading about how a holy man strives to make the world a better place for everyone doesn’t pique your curiosity, then a review inviting you to try it anyway won’t make it so. 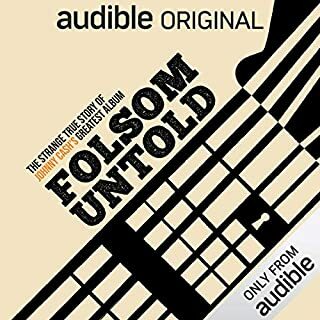 Yet giving this one a listen could have the world be a better place, even if only for a moment where you see it was possible for the characters in the story, and the folk putting on the show. I got lifted and buoyed and it occurs easier for me, now, to go about making the world a better place for all. And if you don’t pick up this title, then please go on making the world a better place, your way, anyway! Thank you! 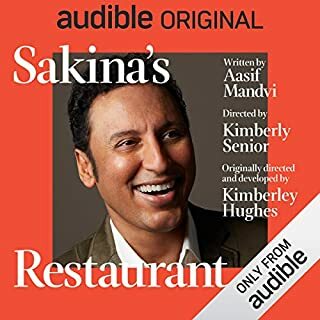 finally glad the audiobook is over. it is a collection of cliche's presented in a highly improbable, absurd and shallow story. stuck with it until the end hoping to find something worthwile. it seems like the creator read all the self help books in a bookstore shelf and jammed every lesson into this play that turned out shallow and agonizing. even though this is 'free' to download as part of my membership, I feel I should've chosen something else. Couched in the backdrop of a Buddhist monk’s mountain retreat, this book uses a series of interactions between friends and strangers to pose ethical and philosophical questions. It has a wide array of characters who filter in & out of the stories. Each story is a realistic life situation which is debated by the characters who must live through it. I don’t necessarily agree with the monk 100%, but the approach kept me interested throughout and the topics gave me new perspectives on my own life. The kind of book that makes you reflect on your own self, but also introduces you to the stories of others. You know I think some people are going to love this and I wish them the best of it. To be fair Audible say it is in the realm of the fable and that's exactly what it is . . . though as usual, full disclosure, I only made it a little under halfway through. To me while I was intrigued by the concept I found the whole thing a bit quaint and twee for want of better words, almost like I was being read a children's story. The whole thing is of course ridiculous and relies on one-dimensional stereotype characters like the world's most famous man. BUT - that's what a fable is after all so it's my own daft fault for not taking Audible at their word. I hope that plenty will like it because it does have a certain charm and amusing faux wisdom about it but it's not something I wanted to spend a long time with. In short, it's bound to split opinions! 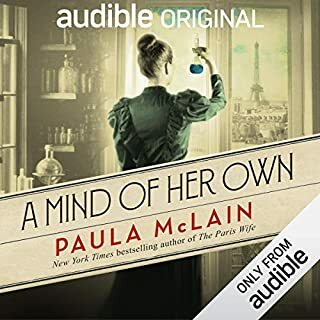 Loved this book and wished it was much longer. The narration and voices were brilliant and bought to life an inspiring story. 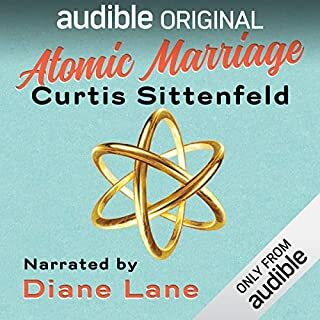 When I saw the title of this recording I was moved to purchase it at once. The drama starts with a drawing unlike any other. I listened every chance I got. The story moved me in ways that told me that I was on journey of varying flavours. Stunning production and story. Beautiful and thought provoking storyline, beautifully narrated. This is a lovely tale that is enchanting and humorous. Toby Jones is like silk with his narration. Wonderful. A beautiful, spiritual journey which really makes you contemplate your own actions and life. Loved every second. A beautifully written calm and peaceful story, with subtle humour and Toby Jones is marvellous as the hermit Joe. After 30 minutes wasn’t sure how the story could sustain nearly 6 hours, but it does. 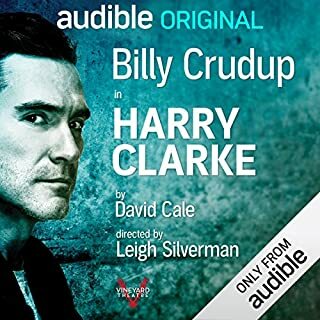 Can’t think of another audio drama like it, it’s unique. Perfect*. *Okay, nearly perfect; there’s an editing issue at around 2 hrs 12 minutes 09 seconds, sentence repeated?